Taking the court against Maryland, Tyus Battle also took on an additional opponent: injury. Battle’s health remained a question in the lead-up to Syracuse’s matchup in the Big Ten-ACC Challenge. Less than a week after a hard fall sidelined him during the second half of a win against Toledo, Battle entered the Maryland game, determined to play. 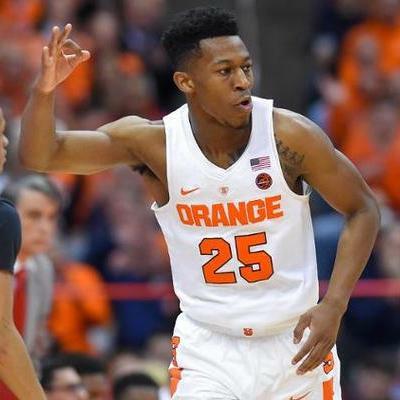 Battle helped the Orange secure a 72-70 win over the Terrapins, but it was far from an easy win. During much of the first half, Battle appeared limited by the injury to his back. Scoring just five points and shooting only 1-4 from beyond the arc, the sophomore did not play at his usual caliber. At one point, Battle returned to the sidelines in apparent discomfort. Standing until he subbed back in, Battle remained determined to continue playing. During the second half, Battle began to return to form. Though still limited, his mobility and shooting percentage increased as the half wore on. Battle’s teammates came through in critical moments throughout the game. Oshae Brissett and Frank Howard had strong showings, with 15 points each. Howard also served up key assists to Battle during the closing minutes of the game. 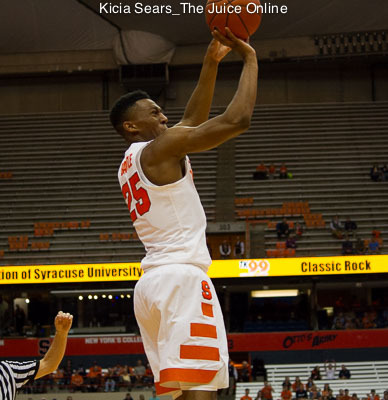 With 1:04 to play, the Orange were down a point when Howard found Battle for an open 3, giving Syracuse 68-66 lead. With five seconds left, Howard fed Battle the ball for a dunk that served as an exclamation point in the Orange victory. Despite a slow start, Battle ultimately finished the night with a team-high of 18 points, with two from beyond the arc. Syracuse will have several days off before it faces its next opponent, Kansas. The time off will benefit Battle as it gives him time physically and mentally to prepare for the next challenge to face the Orange. 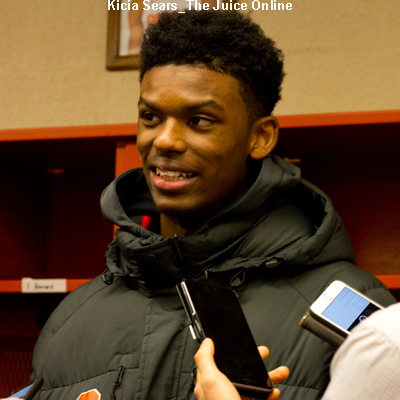 How does Syracuse basketball look through six games compared to last year?